This simple classic Italian pasta recipe relies on good quality ingredients and proper technique to shine. Rich and creamy pasta perfection! When life gets hectic, I default to daydreaming about simpler times. Lately I’ve been reminiscing a lot about the trip we took to northern Italy a few years back. It’s had me thinking a lot about pasta, and a lot about wine. Okay, truthfully it’s been less thinking and mostly just consuming. I just can’t seem to get enough wine into my system these days. Pasta is always my go-to meal for busy nights since it’s fast, cheap, and satisfying. A big bowl of pasta and a nice glass of wine is probably my all time favorite comfort meal. It fills my belly, helps me forget about the day, and always makes me nice and sleepy for an early, cozy bedtime. Without proper technique you can easily wind up with something that’s mushy, watery, oily, overly salty, and/or clumpy. 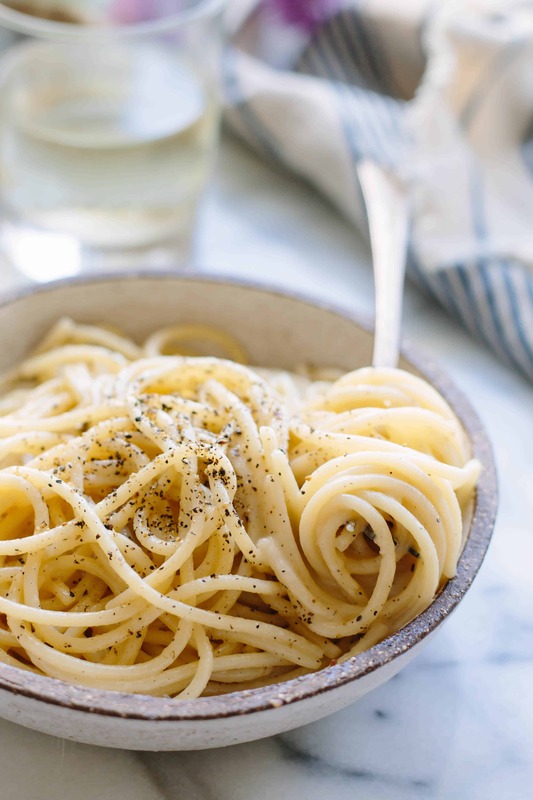 But when you take your time and do it right, you’ll end up with a bowl of perfectly al dente pasta in a velvety, salty-but-not-too-salty, and definitively peppery sauce. It’s no wonder why this formerly overlooked classic has gotten so much attention lately. It’s absolutely dream-worthy. 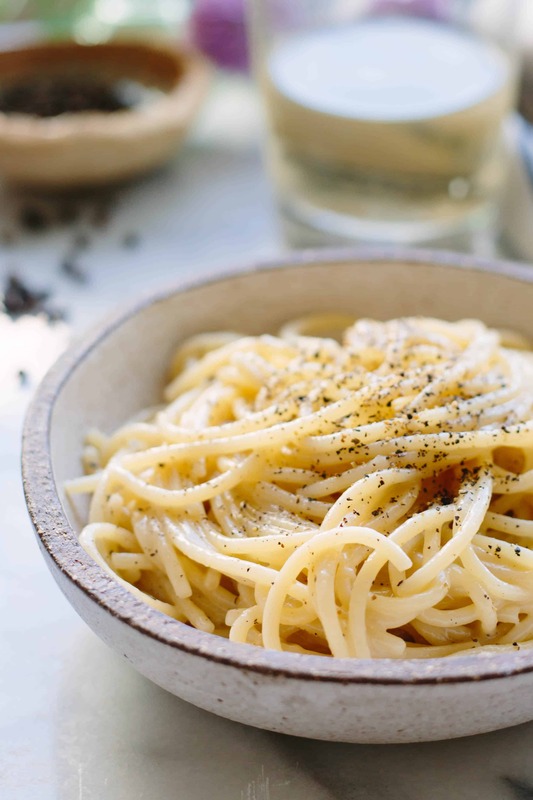 There are a few key tricks to getting Cacio e Pepe just right. First, lets talk about the pasta water. Typically I always stress the importance of cooking pasta in a large pot of heavily salted water in order to season the pasta and give it room to move around as it cooks. However, for this recipe it’s important to use as little water as possible and to make sure the water isn’t too salty. We’ll be using that pasta water to make the sauce along with lots of Pecorino Romano cheese. And since the cheese is very salty, we need to make sure we don’t overdo it with the water (something I learned the hard way). In addition, cooking the pasta in less water will ensure that it becomes extra starchy, and extra starchy water will reduce down to make the sauce thick and creamy. Freshly cracked black pepper is crucial. After all, it’s in the name. I like to coarsely grind lots of fresh pepper straight into a warm pan with some butter. Toasting the pepper before making the sauce helps to coax out and enhance it’s flavor. Cooking the pasta super al dente is also essential, as it will continue to cook in the pan. Even a slightly mushy texture will throw the whole dish out of whack. Transfer some pasta water into the pan with the pepper and let it reduce down a bit. Add the pasta, then turn the heat down super low. Add the cheese a little bit at a time while tossing so that it melts gently into the sauce and ensures every piece of pasta is coated. Do it too quickly with the heat too high and it will clump up into gummy gobs. Patience, grasshoppers. 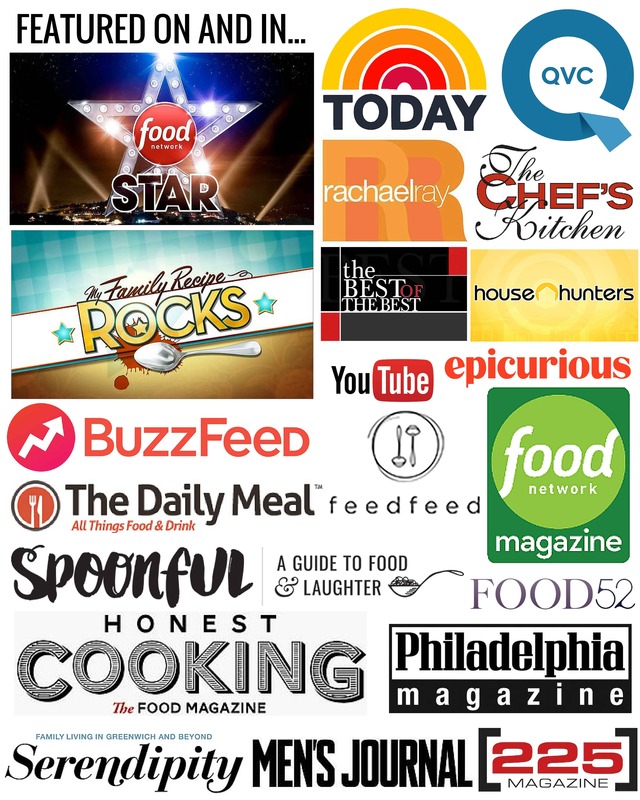 Good quality ingredients here are key. 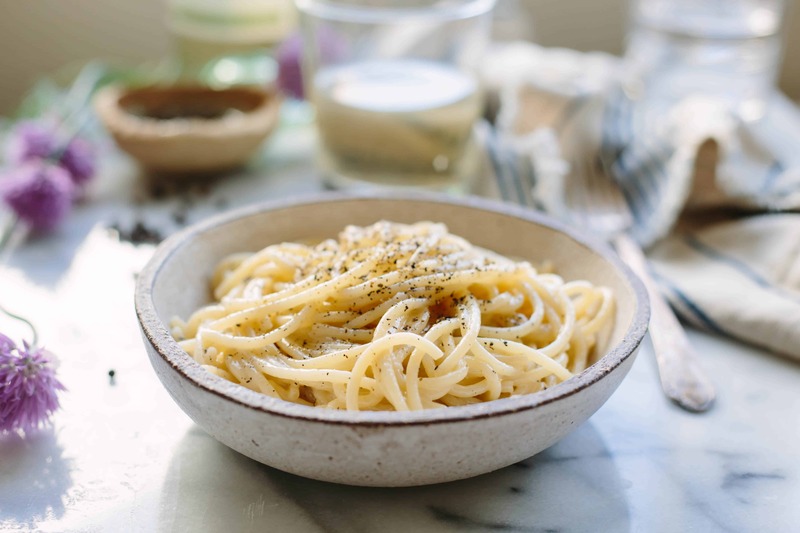 Use the best Pecorino Romano cheese you can get your hands on (I like Locatelli best). Some recipes will tell you that you can swap out a parmesan, like Reggiano or Grana Padano, for the Pecorino, but I disagree. That sharp, salty bite just can’t be replicated with any other cheese. A little bit of butter is all we need to finish the sauce and make it extra rich and glossy. I like to finish it with even more freshly cracked black pepper and of course more grated cheese. There’s always room for more grated cheese. A crisp, classic Northern Italian wine is the perfect match for this cheesy, salty, carbolicious dish. Cavit Pinot Grigio cuts through the richness of the sauce and compliments it’s simplicity without overpowering. Pinot Grigio is an extremely food friendly wine (in addition to being a great varietal to cook with), but it also tastes just lovely on it’s own. I nearly drank the whole bottle just waiting for the water to boil. Tomorrow, May 26th, is the start of Memorial Day Weekend, and it also happens to be National Pinot Grigio Day. What better way to kick off the unofficial start of summer than with a cool, crisp glass of refreshing Pinot Grigio? I don’t know about you, but the weather here in NJ isn’t looking so hot for a BBQ. 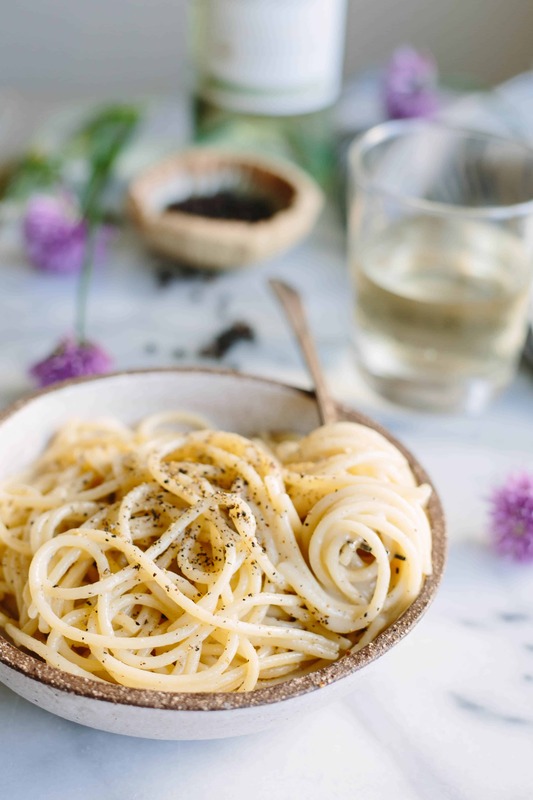 Invite your friends over anyway and tuck in for a nice Italian meal of antipasto, Cacio e Pepe, a simple green salad, and of course plenty of Cavit Pinot Grigio. After all, it’s not a party without a little a lot of wine. This post was made in collaboration with Cavit Wines in honor of National Pinot Grigio Day. All opinions are 100% my own. Thank you to Cavit for sponsoring this post! Bring a medium pot of water up to a boil using just enough water to cover the spaghetti. Season with salt, but go easy. Drop spaghetti into boiling water and cook according to package directions until very al dente. Reserve 1 cup of pasta water, then drain. Melt 2 tablespoons butter in a medium skillet, then add the pepper. Swirl around for about 1 minute until the pepper is fragrant and toasted. Add 1/4 cup of pasta water to the pan and bring up to a boil, then add the pasta and turn off the heat. Add half of the cheese while tossing and swirling the pasta around, then add the remaining cheese and butter. Continue tossing the pasta until it creates a thick, velvety sauce. Add more pasta water a little bit at a time to thin out the sauce as needed. Taste for seasoning and adjust accordingly. Transfer to bowls and serve immediately with more pepper and cheese on top. I made this recipe the first time EXACTLY as directed, and enjoyed it a lot. Simple, but the kick of the pepper really cuts through all of the other richness in the dish. And I love simple pasta and that flavor. It was worth the extra 30 minutes at the gym the next day. I then made it a second time, but with a few tiny tweaks. While the pasta was boiling, I sautéed 4 oz. of chopped pancetta, rendering the fat and getting the pancetta good and crispy. Then, I only used a teaspoon or two of butter in Step 2, and followed the remainder of the recipe to the end with no other change. Try it sometime! While it does downplay the pasta flavor a bit, the pepperiness of the pancetta complements the other flavors of the dish and does add some smoky/porky goodness. And that also means an extra hour in the gym the next day! I love classic dishes and this pasta seems delightful, Nicole! 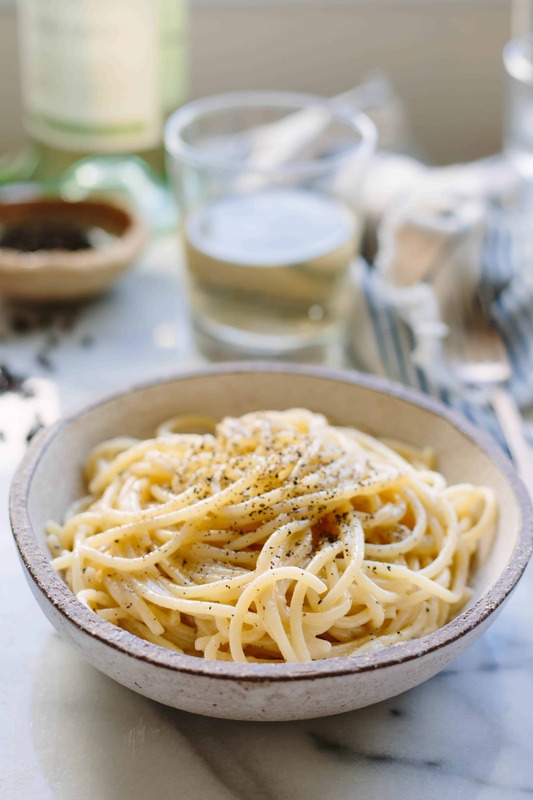 Literally “cheese and pepper”, this minimalist cacio e pepe recipe is like a stripped-down mac and cheese.